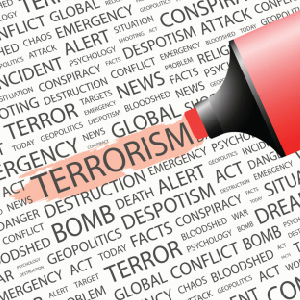 A new study conducted by the Institute for Economics and Peace reveals that nearly 18,000 terror-related deaths occurred throughout the world last year; 82 percent of those were relegated to just five countries. The institute’s 2014 Global Terrorism Index relays that global deaths at the hands of terrorists increased 61 percent in a year. The figure, while high, is unsurprising given a recent resurgence of Islamic extremism in the Middle East and elsewhere. Eighty-two percent of terror-related deaths occurred in Iraq, Afghanistan, Pakistan, Nigeria and Syria. Iraq, where ISIS extremists are currently gaining ground, was the country most affected by terrorism last year, with 2,492 attacks killing 6,362 people within its borders in 2013. According to Institute Chairman Steve Killelea, the religious ideology associated with a majority of the terror attacks limits global actors’ ability to quell the bloodshed. “Over the last decade the increase in terrorism has been linked to radical Islamic groups whose violent theologies have been broadly taught. To counteract these influences, moderate forms of Sunnis theologies need to be championed by Sunni Muslim nations. Given the theological nature of the problem it is difficult for outside actors to be influential,” said in a statement. According to the report, terror attacks that killed more than 50 people occurred in 24 countries; 75 countries suffered no terror attacks. While the global terror numbers are staggering, the Institute notes that people throughout the world are still 40 percent more likely to be killed in homicides than terror attacks. For those of us in the U.S., that figure jumps to 64 times more likely. The full Global Terrorism Index can be viewed on the Vision of Humanity website. So, “Only 5% of muslims worldwide are open supporters of ‘radical’ fundamentalism!”? The Pew Research Center is a nonpartisan American think tank that provides information on social issues, public opinion, and demographic trends. They are considered to be a trusted source for information. The Global Attitudes Project is a series of worldwide public opinion surveys that encompasses a broad array of subjects. Are there wide spread beliefs in the Islamic populations that are counter to the human rights of free speech, free expression, woman’s rights, and gay rights? It should never be allowed by backwards people to be considered “illegal” to accuse these criminals (moslems) of their crimes, allegedly because the painful truth might offend them or hurt their feelings, and so “make” them commit even more crimes! No problem was ever solved by ignoring it, and nobody is doing even these moslems any favours, by indulging their historic lies that islam is a “religion” (at all, much less one “of peace”) or a “race” (much less one of poor oppressed People Of Colour”)! There are no moderate muslims, simply because there is no moderate islam. There is only one Qur’an, one islam. The only way anyone having the misfortune to be born into the crime-cult has, to be seen in a positive light, is to risk being murdered by the others (as the others are commanded to do to them, in Sura 4:89) and LEAVE ISLAM. Period. One cannot be against completely criminal islam, and still pretend to like individual “muslims,” any more than one could be against national socialism, and still pretend to have “good nazi” friends! Turkey’s Prime Minister Erdogan on “moderate Islam”: ‘These descriptions are very ugly, it is offensive and an insult to our religion. There is no moderate Islam.” Milliyet, Turkey, August 21, 2007. “Islamic Fundamentalism,” “Islamic Extremism,” “Totalitarian Islam,” “Islamofascism,” “Political Islam,” “Militant Islam,” “Bin Ladenism,” “Islamonazism,” “Radical Islam,” “Islamism,” etc…. If only he felt that way about America. Washington’s defense of Islam has trumped the defense of America and this dereliction of duty could well be called Islamgate. Beyond the doctrine, there is the historical figure of Mohammad, who, more than anyone, defines Islam. How would you judge a man who lies, cheats, steals, rapes and murders as a way of life? This evil man is Islam’s ideal man, Mohammad. Whatever he said and did is deemed moral by virtue of the fact that he said it and did it. It’s no accident that the only morality that could sanction his behavior was his own. Nor is it an accident that Muslims who model themselves after him are the most violent. For the 13 years that Mohammad failed to spread Islam by non-violent means, he was not so much peaceful as he was powerless. It was only through criminal activity and with the help of a large gang of followers that he managed to gain power. But he wanted his moral pretense too, so he changed Islam to reflect the fact that the only way it could survive was through force. And so, acting on Allah’s conveniently timed “revelation” that Islam can and should be spread by the sword, Mohammad led an army of Muslims across Arabia in the first jihad. From then on, violence became Islam’s way in the world. And today, acting on Mohammad’s words, “War is deceit” — in the sense that Muslims use earlier “peaceful” verses from the Koran as a weapon against the ignorance and good will of their victims. Those “peaceful” passages in the Koran were abrogated by later passages calling for eternal war against those who do not submit to Islam. How Mohammad spread Islam influenced the content of its doctrine and therefore tells us exactly what Islam means. Far from being a personal faith, Islam is a collectivist ideology that rejects a live-and-let-live attitude towards non-Muslims. And while the jihadists may not represent all Muslims, they do represent Islam. In the end, most Muslims have proven themselves to be mere sheep to their jihadist wolves, irrelevant as allies in this war. Recovering Muslims call the enemy’s ideology “Islam,” and they dismiss the idea of “Moderate Islam” as they would the idea of “Moderate Evil.” When, based on his actions, Mohammad would be described today as a “Muslim Extremist,” then non-violent Muslims should condemn their prophet and their religion, not those who point it out. Islam is the enemy’s ideology and evading that fact only helps its agents get away with more murder than they would otherwise. Western politicians have sold us out, so it’s up to the rest of us to defend our way of life by understanding Islam and telling the truth about it in whatever way we can. If we can’t even call Islam by its name, how the hell are we going to defend ourselves against its true believers? One could argue that we’d be better off if the West would just choose one of the many terms currently used for the enemy’s ideology. For my part, I call the enemy what they are, “Jihadists,” and our response, “The War on Jihad.” But behind it all, it’s Islam that makes the enemy tick. First, my name is Bosch and I’m a recovered Muslim, so I have some insight into this, coupled with the fact that I studied Islam as if my life depended on it after 9/11. There is Islam and there are Muslims. Muslims who take Islam seriously are at war with us and Muslims who don’t aren’t. But that doesn’t mean we should consider these reluctant Muslims allies against Jihad. I’ve been around Muslims my entire life and most of them truly don’t care about Islam. The problem I have with many of these essentially non-Muslim Muslims, especially in the middle of this war being waged on us by their more consistent co-religionists, is that they give the enemy cover. They force us to play a game of Muslim Roulette since we can’t tell which Muslim is going to blow himself up until he does. And their indifference about the evil being committed in the name of their religion is a big reason why their reputation is where it is. Non-observant Muslims are not our problem, but neither are they the solution to our problem. Our problem is Islam and its most consistent practitioners. There is nothing in Islam that stays the hand of Muslims who want to kill non-Muslims. If an individual Muslim is personally peaceful, it’s not because of Islam, it’s because of his individual choice, which is why I often say that your average Muslim is morally superior to Mohammad, to their own religion. The very rare Muslim who helps us against Jihad is acting against his religion, but that doesn’t stop some among us from thinking that his choice somehow shines a good light on Islam. It doesn’t. A good Muslim according to us is a bad Muslim according to Islam. ISIS also claims the “moderate” Islamists Muslims in Syria are selling them US arms. This list should disabuse anyone of the notion that the incessant intolerance, hatred, and even violence against non-Muslims is “fringe.” This is not just a small group of “radicals.” This is Islam, plain and simple. The leaders quoted below are hugely popular,even famous mainstream leaders in the Islamic world. For each quote, I’ve provided an online source. Ali Gomaa, the grand mufti of Egypt, the highest Muslim religious authority in the world, supports murdering non-Muslims. In the daily Al Ahram (April 7, 2008), he said, “Muslims must kill non-believers wherever they are unless they convert to Islam.” He also compares non-Muslims to apes and pigs. Indeed in the Prophet Muhammad you have a good example to follow”. Hasan al-Banna, the founder of the Muslim Brotherhood (the largest international Islamic organization in the world) wrote, “Islam is an all-embracing concept which regulates every aspect of life, adjudicating on every one of its concerns and prescribing for it a solid and rigorous order.” Hasan al-Banna acknowledged there are many levels of jihad, including mere “interior spiritual struggle,” which he deemed the lowest level. According to al-Banna, waging warfare against the infidels is the highest expression of fidelity. Hasan al-Banna also wrote, “it is a duty incumbent on every Muslim to struggle towards the aim of making every people Muslim and the whole world Islamic, so that the banner of Islam can flutter over the earth and the call of the Muezzin can resound in all the corners of the world.” Now remember, this is the founder of the largest international Muslim organization in the world. IS OBAMA TRYING TO PURPOSELY START WORLD WAR III?! Two things are happening right now under President Barack Obama that are unprecedented. First, Obama is about to go to war in Syria and risk your sons’ and daughters’ lives on behalf of our enemy, al-Qaida. Second, he is about to risk starting World War III. And then there’s Obama’s “red line.” Obama’s defenders say, “Syria passed the red line. We have no choice.” Really? So we now call extremist Muslims killing other extremist Muslims a “red line” that demands U.S. intervention. But extremist Muslims in Egypt burning more than 70 churches to the ground and killing Christians is not a “red line?” In one place (Syria), we want to go to war. In the other (Egypt), we continue to send billions of dollars in foreign aid as a reward for killing Christians. Do you support Obama’s definition of a “red line?” I know I don’t. So why the rush to war? Could it be because America’s unemployment problem under Obama is unfixable? Ninety million working-age Americans are not working. The labor force participation rate is the lowest for men since 1947 (since measurement began). Obama has no way out. The same holds true for our partners in the European Union like the United Kingdom and France. Unemployment for the EU region is 12.1 percent, the worst in history. Almost 20 million Europeans are unemployed. Youth unemployment in the EU is just below 25 percent. How do you solve such a human psychological disaster? You go to war. Voilà. Suddenly, young people with no job prospects have a job — in the military. They have a check, a place to live, something to do. They no longer have time to commit crimes or riot in the streets. America got out of the last Great Depression with the help of World War II. How convenient that Obama lit the fuse for the Arab Spring, helped to topple dictators friendly to U.S. interests and took the side of the Muslim Brotherhood. Now, it’s all coming home to roost. A) War would stir patriotism and force Americans to rally around the President. B) Obamacare is a nightmare for Obama and his party. It’s so unpopular even Democrats and unions are running away from it. Congress has passed a law to exempt themselves. Obama himself is postponing major aspects of Obamacare for fear it will lead to a GOP landslide in 2014. Going to war is the perfect distraction, at the perfect time. C) Obama couldn’t create a job if it hit him in the face. He can’t spell J-O-B. War will create instant jobs. And, hey, if thousands of young men die, that, too, will reduce the ranks of the unemployed for years to come. “Nonsense,” Obama’s supporters will protest. You know, those same people that marched in the streets protesting our involvement in Iraq, those same people who questioned CIA intelligence about “weapons of mass distraction” yet who now readily accept the CIA’s claims about Syria’s using chemical weapons, those same people who called Bush a murderer yet now accept Obama’s bombing and killing citizens in Syria. Syria is the new Iraq. In Syria our new friends are worse than the Muslim Brotherhood (if that’s possible). The rebels fighting the Syrian government are al-Qaida. These are the murderous terrorists who are the sworn enemies of America and Israel. This is who Obama is asking our sons and daughters to die for? Not my sons, not my daughters. How about yours? Have we learned nothing from Iraq? I was gung ho about Iraq. I thought it was a noble cause to set the Iraqi people free from a tyrant. You know what I found out? We meant well, but it was a disaster. It was none of our business. It was not worth the cost — in dollars or human life. The Iraqi people we heroically risked and sacrificed for don’t thank us; they hate us. Why would we want to do it again? Our Mideast interventions cause more hatred, more terrorism, more death. Let’s not forget that our intervention in Libya put weapons in the hands of radical Muslims who, it now appears, used those weapons to attack our own Libyan Embassy and murder our U.S. Ambassador and three brave Navy SEALs. You know, that’s the tragedy that was covered up by Obama and Hillary Clinton by blaming it on a movie. Who killed our brave men in that Libyan embassy? Al-Qaida, the people Obama now wants to partner with. Have we not learned that our Mideast interventions always work out badly? Now, we are going to do it again. Except this time, it’s far worse. This time, Russia and China and Iran are on Syria’s side. This time, it could lead to World War III. Have we lost our minds? First, was this Obama’s plan from the start? Foment anger and instability in the Mideast, topple the friends of America and wait for war? Is this his only way out to save the U.S. economy from collapse? Is war the perfect distraction from the economic carnage caused by his policies? Second, would you send your son or daughter to die to support al-Qaida? I know I wouldn’t. This is a new level of insanity — even for Obama. God bless America, and protect us from Barack Obama.